I must have spent fifteen minutes just staring at the NARS NARSissist Wanted eye shadow palette when I first opened the PR package. It was mesmerizing me with its colors and finishes. 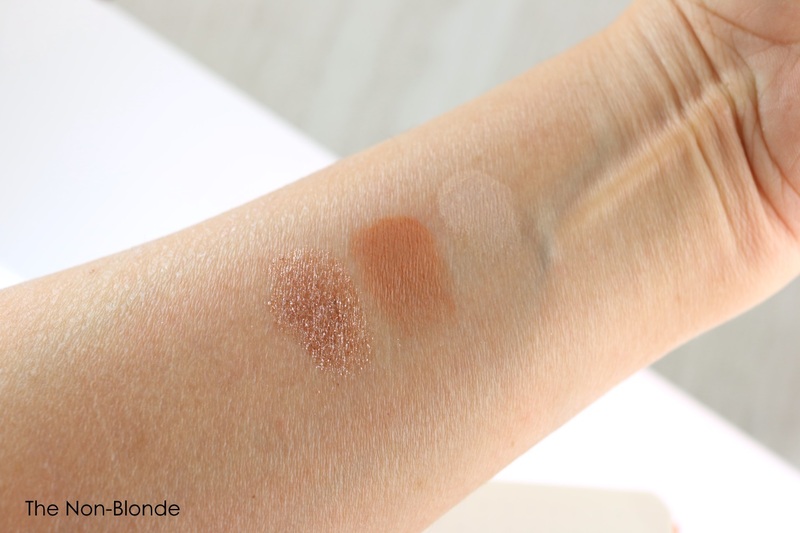 I could also tell that the texture was going to be a departure from the familiar NARS formula. Let’s face it: we live in a reality of YouTube makeup people sticking their fingers into eye shadow palettes expecting them to feel like butter and appear like pure pigment the second the press their fingers to the skin. They need to look almost shellacked on camera so viewers click on the links to purchase it before the video is over, usually without an actual demonstration of the application process on a real human lid. Most classic NARS eye shadows were not formulated for this. I’m not saying that it’s bad or good, just that the landscape is different now and the desired demographic for makeup brands is coming of age with different skill-set and makeup brushes, as well as with different expectations. NARS Wanted eye palette was definitely created with that in mind. It's a limited edition item that was released just before the holidays and is still available everywhere, with its popularity seeming to increase as more and more people are discovering it. 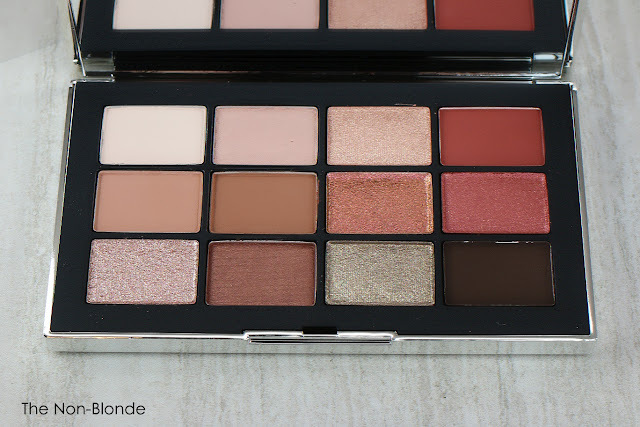 Several critics said (and weren't wrong) that NARS is late to the large palette in warm colors game. However, it seems like this trend is not going anywhere, at least where mainstream makeup purchases are considered. People may be mesmerized by the idea of a neutral palette with a burst of vibrant blue (see the KKW x Beauty by Mario release as well as the humble Wet 'n' Wild Not a Basic Peach palette), but buying and wearing are not quite the same for the majority of makeup shoppers. This tangent aside, NARS Wanted makes sense as it allows the brand to offer its own take on the subject and ensnare those who came of age in the YouTube era of doing eye makeup. The palette offers twelve shades rich in texture and pigment. the finishes are as expected, from matte through satiny shimmer to a pressed glitter with everything in between (think Huda or Natasha Denona). One can work with them even with lower quality brushes, as the consistency is dense enough. They also apply well with fingers. 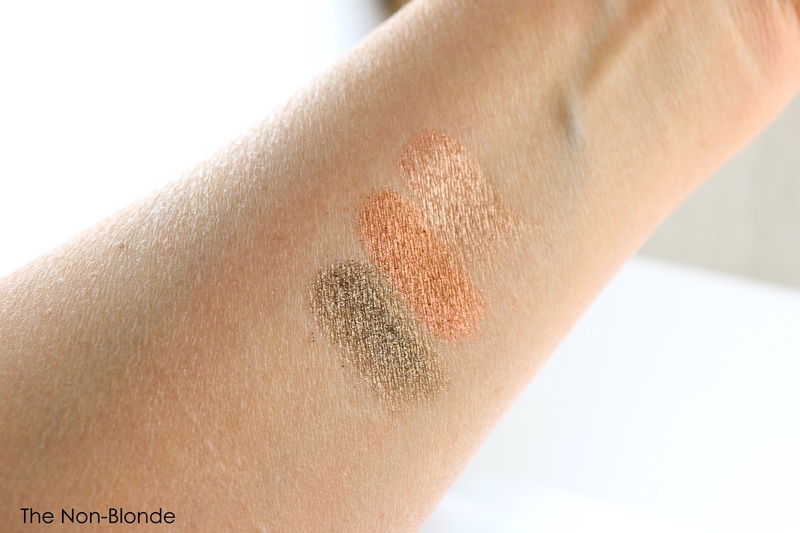 My swatches were done with a very basic old brush (Paula Dorf Eye Glimmer. It's flat and paddle-shaped) unless otherwise noted. 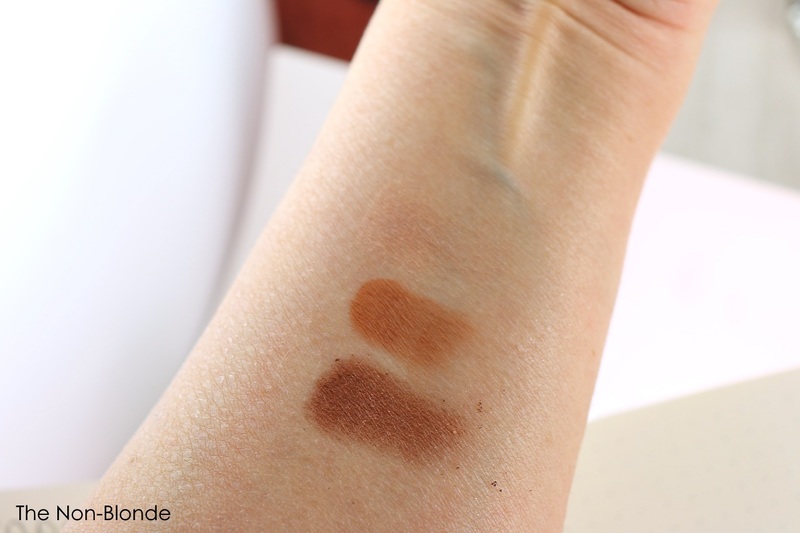 The mattes are so soft that they create a powdery cloud. 'm guessing that at this point we all know how to deal with that. Biarritz (matte)- a creamy brightening beige. Seven Heaven (an almost matte satin)- peachy sand. Shooting Star (pressed glitter)- a shiny pink sand. This shadow has a "wet" feel and needs to be applied with your finger, preferably over a glitter glue or an emollient base. Swatched with finger. Satisfaction (satin)- pink beige. You can barely see it on my arm, which I guess is the point. La La (metallic)- high sheen brown. Mendoza (pressed glitter)- copper with a pink shift. Swatched with finger. Fallen Star (high shimmer)- an antique dirty gold that leans olive. Temptress (almost matte)- brick red. Probably my most favorite in the palette. Wicked Game (shimmer)- sunset pink red. Coconut Grove (matte) - cool dark espresso. The only color in this palette that's part of the permanent line and can be purchased as a single. Considering all the prettiness above I still gave the palette to a friend as soon as I was done gathering the materials needed for review (I wasn't sure I was going to actually post about it. I decided to go ahead after NARS launched the rest of the Wanted collection, which I'll show you soon). Out of all color families, red and orange eye shadows are not my immediate go-tos. I like them well enough and can make almost anything work, but I'm more likely to pick taupe and navy or teal and gold if left to my own devices. For someone like that I already have more than enough palettes and singles to create all the warm looks I could ever desire (or to accompany other shades): I have, love, and use more frequently than you'd guess both Tarte Toasted as well as Viseart Warm Mattes. I've taken Toasted with me on a twelve day trip abroad and made it earn its keep. Viseart is an essential to me, and I also have random Colourpop singles (both pressed and Super Shock) to supplement the spectrum. We also cannot forget Chanel Candeur et Experience Eye Shadow Quad from fall 2016, which if I were a minimalist person would have been all I'd ever need in this color range. Then last month I was sent the Urban Decay Petite Heat palette (I passed on the full size Naked Heat), and I think we can all agree that unless someone invents a completely new eye shadow technology I am set for at least a decade on orange eye shadows. My NARS Wanted have a better home now where it's appreciated and used. 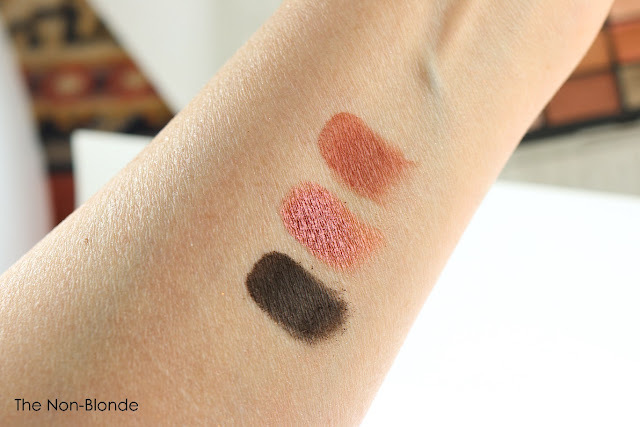 Right now I've got the urge to reach for my old NARS Habanera duo and find a new way to use it. 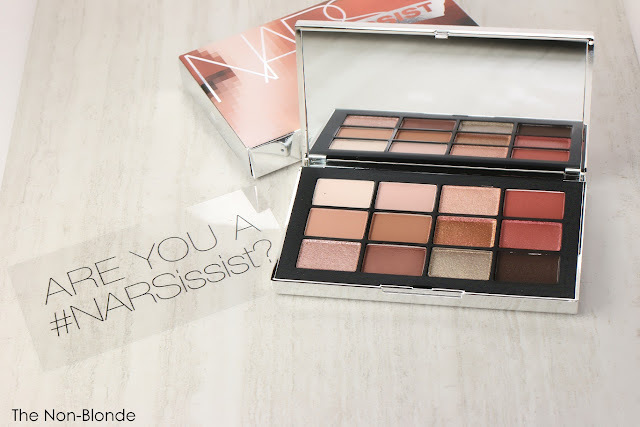 NARS NARSissist Wanted Eye Shadow Palette ($59, made in Canada) is a limited edition item, available from Sephora, Ulta, most department stores, and NARS boutiques. It was sent to me by the brand's PR. I am probably the only person on the planet who cannot wait for the orange/red/fuchsia eyeshadow trend to be over with. I'm allergic to many red pigments and even when I'm not these colors just make me look like I have an eye infection or some other sort of irritation. I haven't found a way to make any of these colors work with my coloring. I passed on the original Chanel Candeur et Experience and every other completely warm toned palette since. On the other hand, I have saved so much money and given a lot of love to items already in my collection.